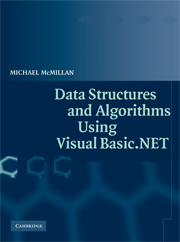 This is an introduction to programming using Microsoft's Visual Basic.NET 2010. 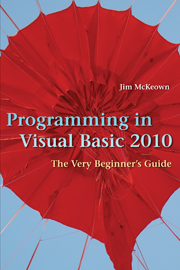 It is intended for novice programmers with little or no programming experience or no experience with Visual Basic. 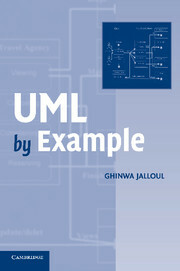 The text emphasizes programming logic and good programming techniques with generous explanations of programming concepts written from a non-technical point of view. 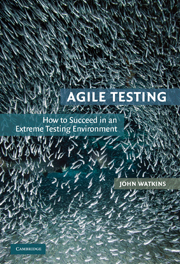 It stresses input, processing, and output and sequence, selection, and repetition in code development. File I/O and arrays are included. 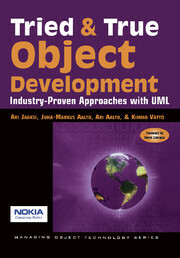 Later chapters introduce objects, event programming, and databases. By taking a slow and steady approach to programming ideas, this book builds new concepts from what the reader has already learned. VB tips and quips inject both humor and insight. 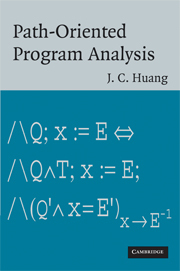 The book includes numerous programming examples and exercises, case studies, tutorials, and “fixing a program” sections for an in-depth look at programming problems and tools. Quizzes and review questions throughout each chapter get students to think about the materials and how to use them. Each chapter has a summary and glossary for extra review. The accompanying Web site, www.cambridge.org/us/McKeown, has code downloads, I/O, and database files from small, simple files to large files with thousands of records, flowcharts, deskchecks and audits to aid with program design, coding, and debugging; PowerPoint files for every chapter; and hundreds of ideas for programs and projects. 9. File i/o - files and records and fields, oh my! 15. Crystal reports - tying databases to output. Dr Jim McKeown has spent more than 20 years at Dakota State University, where he is an Assistant Professor. He currently teaches programming, computer hardware, software testing, and computer applications. He received a master's degree in computer education from Columbia University and holds a Ph.D. in instructional design from the University of Iowa. 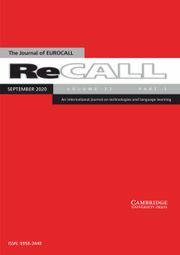 He has contributed several articles to the Journal for Computing in Small Colleges as well as various other publications.